Teaching communication skills at all levels of training is critical to the success of our healthcare system. 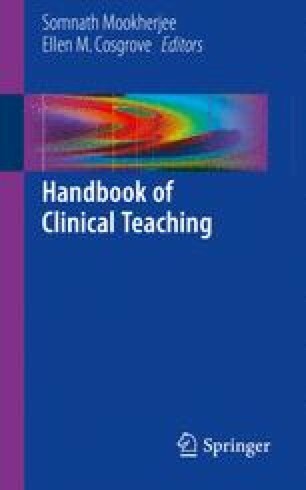 To teach communication requires both an understanding of models for effective communication in healthcare and using evidence-based teaching techniques. This chapter describes a model for effective communication in healthcare, provides a model for teaching communication skills in general, identifies strategies for teaching those skills, and provides practical suggestions for implementing those strategies.